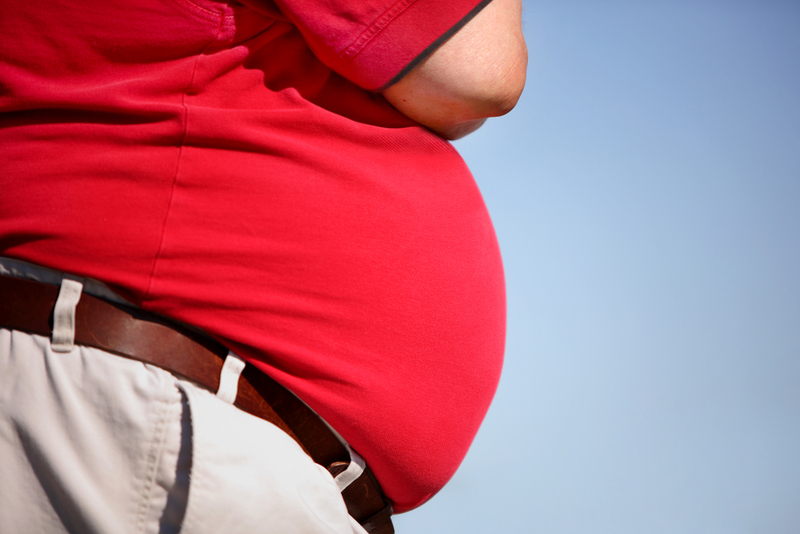 Abdominal fat has a well-documented connection to a number of health problems: heart disease, cancer, and diabetes to name a few. New research from Illinois has discovered yet another reason belly fat is detrimental to our health. Researchers at Rush University Medical Center in Chicago examined the effect that excess abdominal fat has on our memory and uncovered an alarming link. Middle aged individuals with high belly fat are 3.6 times more likely than those without to experience memory loss and dementia in old age. The researchers were able to identify the specific protein in the body that causes this loss of memory. A protein called PPARalpha that metabolizes fat in the liver is the same protein used by the brain in the area that controls memory and learning. People who consume a high fat diet, and thus have high abdominal fat, require more of the protein to metabolize all of the fat. When the liver runs out, it scavenges the rest of the body for more, namely the brain, which starves the brain of the protein and decreases functionality. “We need to better understand how fat is connected to memory and learning so that we can develop effective approach to protect memory and learning,” said Kalipada Pahan, a professor of neurology at Rush University Medical Center, in a press release. “While PPARalpha deficient mice are poor in learning and memory, injection of PPARα to the hippocampus of PPARalpha deficient mice improves learning and memory,” he went on. Excess abdominal fat is often accepted as “inevitable” in old age, but the reality is, allowing those extra pounds to linger can take a serious toll on your physical and mental health. Maintaining a healthy diet during your middle aged years makes a big difference on the quality of life in elderly years. Taking time to exercise regularly, engage in mental stimulation, and keep the excess belly fat off will help lead to healthier senior years, rather than ones filled with slipping health. Preparing for the possibility of this type of situation is crucial in this day and age, as technology helps us live longer than ever before. With our longer lives come chronic diseases that necessitate custodial or medical care, which can be quite expensive. Establishing a plan ahead of time will help you avoid any financial crisis, should you be diagnosed with dementia or suffer some other type of long term care need. Read more about the risk of dementia or request more information on how to pay for long term care.